Tightly wound aromas of dark fruit, forest floor, spicy oak and hints of herbs and eucalyptus don’t properly foretell the delicious tasting experience to follow. The easy entry flows into a luscious core of dark cherry, cassis, blackberry, spicy cedar and traces of dark chocolate woven with supple tannins and vanillin oak. The wine’s youthfulness is revealed in the finish, where the tannins broaden and linger in the finish with a deep rich berry essence. 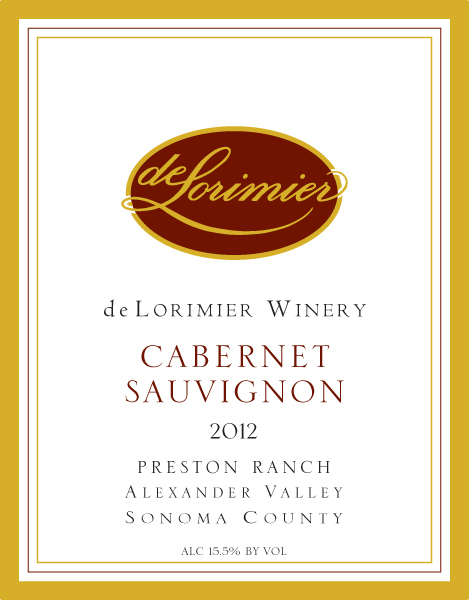 Drinkable now, but if you are patient, this Cabernet will soften, further integrate and the flavors deepen with a few more years of bottle aging. Enjoy pairing it with a pan-seared rib eye steak with herbed butter, or lamb chops with a blackberry balsamic reduction.